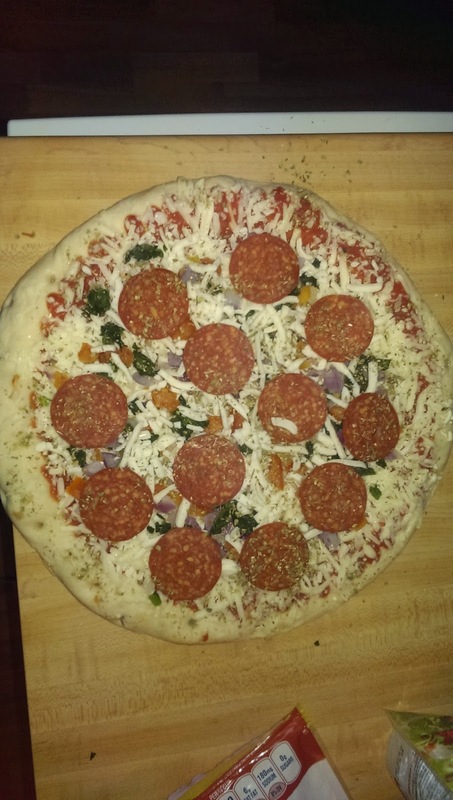 DiGiorno's pizza creations kit allows for you to customize the pizza your way. The packaging is bright and eye appealing, allowing you to see what you should expect from the product. The directions, turning your oven on to preheat at 400°, gives you time to do the easy prep work and create a masterpiece that is drool worthy to your specifications. 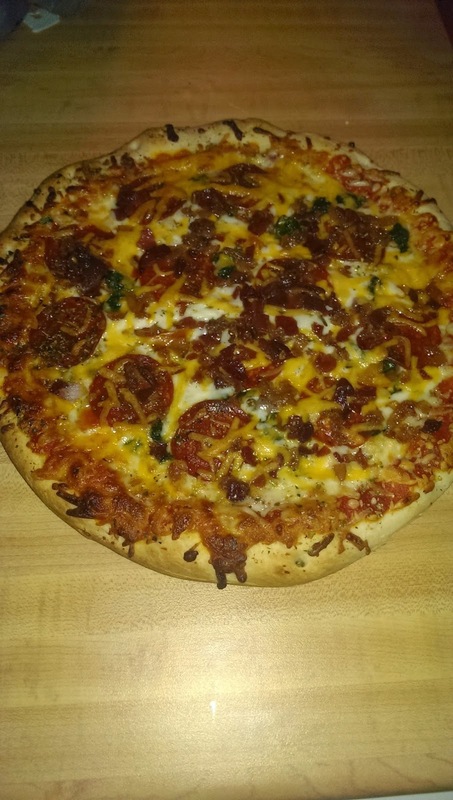 I chose the red onion, tomato, spinach and pepperoni product. The portions are perfect, from the size of the pizza to the different toppings, and even the herb mixture to be sprinkled on top. An added bonus, it came with extra cheese! I had to placate the kiddos, and hide the vegetables, so I added a little bacon and some store brand cheddar cheese. A quick turnaround is important in this day and age, a whopping 20 minutes on my timer, and I was smelling pizza in the air. Cutting it up was a breeze, then came time for the taste test. Did DiGiorno soar over the chain pizza places and the boxes of others next to it in the freezer section? That was the question of the hour. It by far surpassed the likes of Tombstone and Red Barron. The flavors blended well together. The sauce was zesty, the onion and tomato were perfect for crunch, the spinach didn't seem to have that soggy out of the freezer taste and texture. The cheese (and extra) melted smoothly. The biggest worry for me was the crust. Too many times the crust is like cardboard or its still a little doughy under the sauce and toppings. This wasn't. The bottom was crispy, offering a small amount of crunch, and there was still a bit of chewiness to it too! It wasn't tough and felt like you were chewing rubber. It had cooked perfectly in 20 minutes. It was a satisfying product for a reasonable price. Especially against the competition and big pizza chains. An overall review I would give it nine stars out of ten. The product itself was wonderful, but my only hang up was the ease of opening the toppings. While it is a pull apart plastic, it is tough to actually pull apart, and risks the toppings being flung around the kitchen.